Landed at Walkers L & proceeded to rendezvous. Got to dugout at 2.30am. Been getting quarters presentable and reading mail. Rec unopened letters. Just read them through for the 100th time. Really great some of them. All talking of glorious summer, & here is as cold as Charity, everything running perfectly smoothly in Australia & NZ, where here, I am sitting in a dug out with a rifle a bayonet. All ready for fun and even while writing their machine guns & bombs are few short yards up ahead. Went up to have a look at our position where we go into action. Our range is 1175. Had a screw around and got back to rendezvous later. Up digging B.H.Q. all morning. This afternoon had a visit from L-Cpl Jim Mayer from the 10 Sikhs. Very little doing. Light horse captured a trench last night. Casualties very light. Our friends must have known that we had done because all this morning they gave us special attention. Sent over about 30 and our "posy" at present resembles a rabbit burrow. Missed our gun and waggon by a matter of feet. At night the machine guns enfiladed our Gully but the bullets were too high to do any damage. Raining. Read out in orders that our Major, Colonel & Major King are possessors of the order CMG. Very satisfactory. Some Bty has been giving us particular attention all day again, also have been getting it pretty hot from machine gun fire. Great news Chas has received his commission. Still attached to the 1st Brigade. Had a bit of revolver practice today. Scored top hole. Got shelled in return. One splinter of shell came a distance of over 1000 yds after bursting & took a quarter of "C" shield with it. Unfortunately have to record a big miss. Chas left us today. Posted to the 3rd Battery. Up at H. Quarters again this morning. Raining a bit. Believe Kitchener is here. Passed several of his staff today. Mail arrived tonight. Caught a few. Someone, I think it fell to us somehow, started a circus today, & found the Turks eager to pay attention. 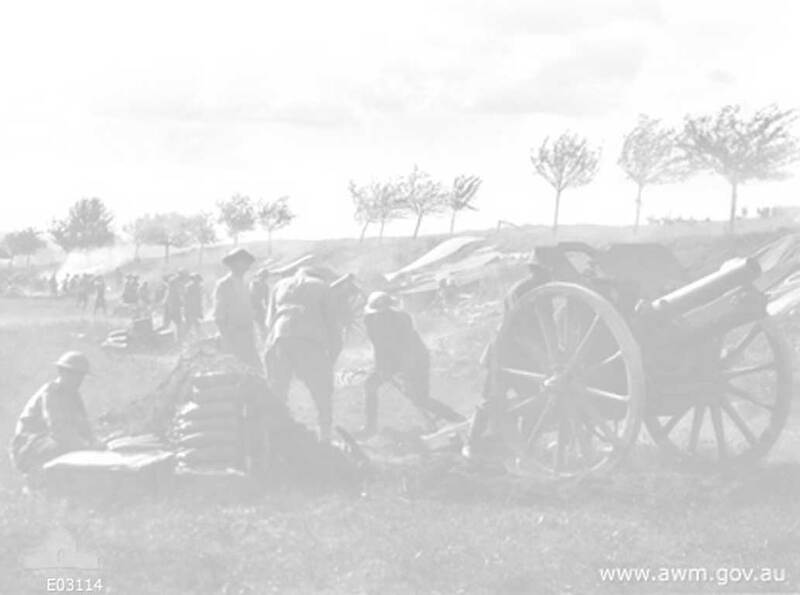 Heavy shelling by land batteries, while, at Suvla the battleships didn't altogether like being out of it, so started one on their own. Raining again. Down at R.E. Depot all morning. This afternoon extra heavy firing at Helles. They started about 12:00 hrs & its now 4pm & they're still rocking it in furiously. Wish we were down in the old position. "500" the order of the evening. Up early this morning. Thanks due to Mr Turk. One of the funniest sights I've yet seen. They sent over 16 what we call plum puddings. They are a big round bomb fired from I don't know what and often roll down a ridge before exploding. They have a case of 1" thickness, and are usually glowing like a red hot poker. One landed down on the track and then a piece in here in my dug out. So got up and watched the rest playing antics. Rec a note from Chas, and went up to visit him. Up at H.Q. Russells Top all afternoon. Blowing a gale. Fairly quiet day. Sundry artillery duels. Sea very rough & weather squally. Gee what a night. A storm broke about 6pm and didn't stop until 2am. During which time yours humbly sat in his dug out and spent his spare time in hanging on to the roof & bailing water out. Blow doesn't half express it. Today proves a perfect one though very cold. Gives us a chance to dry blankets &c. Sundry artillery duels the order of the day. Played 500 at night. Lovely day again. Consistent bombardment by the Navy at Suvla, and the Turks paid particular attention to the beach. We got our proportion of lead in the afternoon. Start rationing today and am ravenously hungry. Quiet night only rifle fusillades. Gr Fountain returned today from England. Hear good news of Gibson & Way. Cold as charity. Heavy bombardment of some spot up ahead by a cruiser anchored about 2 miles back. Sent over about 150 rounds from 6" to 10". Food still scarce and water ditto. Active service rations with a vengeance now. Carrying ammunition all afternoon to 3rd Bty. Like walking up a wall. Saw Chas & had an hour with him in the O Section. Dog tired so bunk at 7pm with a vengeance. No rest for the wicked they say must be correct. Got pulled out of warm bed at 8pm after having only 1 hours rest, and dragged our guns & waggons over a ridge that the two horses couldn't face to the beach. What the Devil for I can't even conjecture. Finished that particular jaunt sometime during the morning. The hardest work bombarding I've yet done. Reinforcements for our Bty arrived today. Awaiting orders for all night working party.